Interracial dating is at an all-time high for acceptance, but that doesn’t mean it is easy. There are many people who find that, for many differing reasons, races or cultures outside of their own are of interest romantically, or perhaps one might just be open to dating anyone. For black women looking for white men, there are still some hurdles to jump over in order to find an appropriate partner. Here is some advice for those wanting interracial dating, including where to find the right one. First, acknowledge the reason for your interest in dating a race or ethnicity outside of your own. This will help you consider if this is truly interest or just mild intrigue. This will also help you remember to ask any prospective dates the same question, and to analyze their answer. Ask yourself if the interest is based on a culture group you grew up around, or a generalized stereotype such as “Latin men are all great dancers.” If it is too generalized of an ideal, you might find yourself disappointed that your prospective date is nothing like the stereotype, and you may crush your date’s heart to learn you only are interested in stereotypes and not the individual. This also helps prepare yourself for the stereotype questions from your prospective date; don’t allow those only interested in stereotypes waste your time. If you want to interracially date because dating in your “pool” hasn’t worked out well, perhaps it is more likely that you are drawn to the wrong partners, not the wrong race. Second, acknowledge that there are cons to dating interracially. 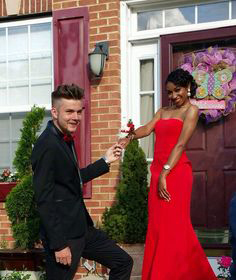 Interracial couples will still find themselves amidst discrimination. Though in many cases interracial marriages tend to be more financially stable than same race marriages, social stigmas that still exist can put couples or individuals in disadvantageous situations so as to not be able to live the quality of life desired. You may also find yourself becoming defensive in public scenarios when you feel stares or quiet condemning comments. It may be hard, but learning to anticipate the best and not the worst may help people become more accepting of interracial couples. When your relationship becomes more serious, your family or your significant other’s family, might struggle to be supportive. Prepare those involved first before meeting your significant other, but be prepared to have a seriously angry or awkward conversation. How will you react? How can you make the situation better? Third, know that there are cons to dating online on black white dating sites. Perhaps this can refer to dating in general, but the following seem to be much more acute when focused online. There are a plethora of responders whom you might categorize as “time wasters” and not serious interest. Perhaps this is because they do not know what they want and are just “testing the waters.” Or perhaps some are still angry over a breakup or are trying to get revenge for a bad relationship. Certainly asking some questions can give you clarity. Just as you don’t want your time wasted, keep this in mind for your own actions. Prior to going online, make certain you also know what you want, and what you don’t. Fourth, putting much of the above together, you will see that online dating (regardless of interracial specific site or not) takes time as you will need to weed through those who are not fitting of your needs and might waste your time to find those that are actual possible matches. Aim to find just one new connection each day, and have a conversation with said person as soon as possible, preferably on the phone. If someone who seems interesting suddenly disappears, it is most likely because that person cannot keep up the façade or you have asked the right questions to get rid of the trash.